DearMy Brand, USA Trademark Registered. This entry was posted on November 30, 2018, in Art. LUKAT button art toys developed specifically for developing thinking skills and color recognition. 18 different pictures can exercise your child’s imagination and develop your child’s hand-brain coordination ability more effectively. A nice choice for 2+ years kid in rainy or snowy days to learn more. More kids play together to train their children’s teamwork skills. The product consists of ABS plastic. BPA free . Safe for your baby. 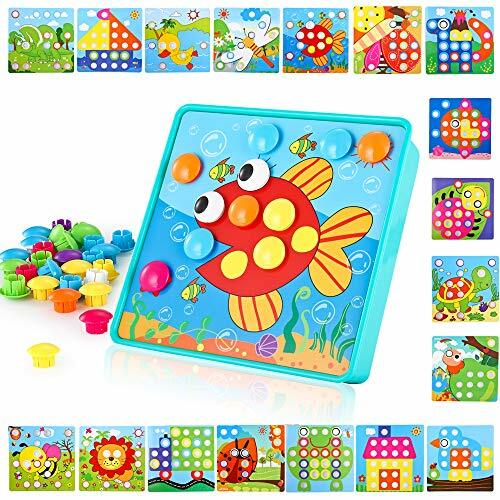 【More joy】LUKAT Toddler toys with 18 different patterns and 46 colorful buttons make kid get more. Recommend for toddler of 2 years and up boys and girls. 【Storage Tray】 lukat Button Art Toys is easier to organize and clean up after the end for your baby and kid. 【More sturdy】 The reinforced material makes the tray less susceptible to damage. 【SAFETY】BPA FREE. The toddler toys is safe and top quality material, safe for your kids. 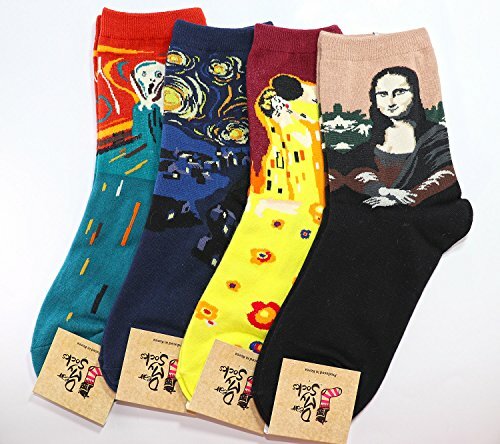 【Best Gift】 A nice gift for your boy / girl as a Christmas and birthday gift. 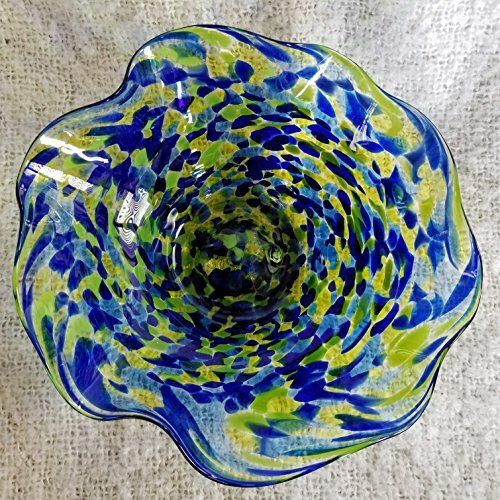 Hand blown glass bowl with wavy lips, about 6.5-7″ x 6.5-7″ x 3″. Perfect for keys, coins, nuts, dips, candies, or tea candles. Dishwasher safe. Fill with sand and shells/stones from your favorite beach or water to float a tea candle. Made in Seattle, WA by glass artist Joshua Swanson and company. This entry was posted on November 30, 2018, in Wood. MOHTASHAM. 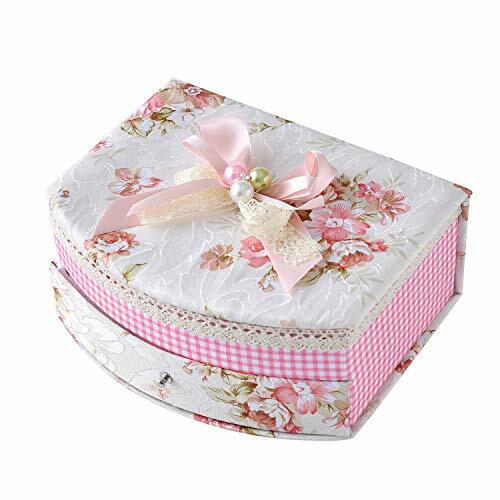 This jewelry box is made of fabric, fine workmanship, novel and beautiful design, handmade, with beads and lace edge. It is fully functional, can place rings, earrings, necklaces, bracelets and so on. It has a double layer and is very beautiful in color. mohtasham like YOU. 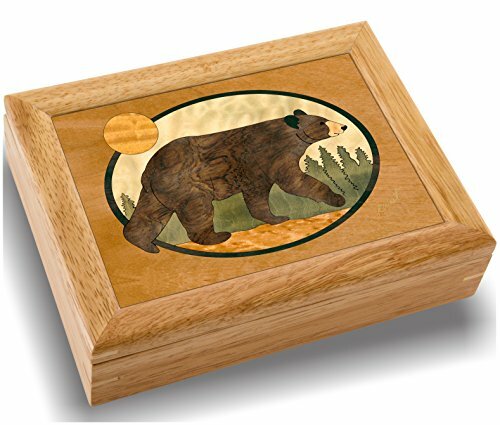 ► This Design shows 15 individual pieces and 9 unique wood species. This entry was posted on November 30, 2018, in Prints. Delicate styling and a floral motif give the Mele Designs Lyra jewelry box a light and airy feel. 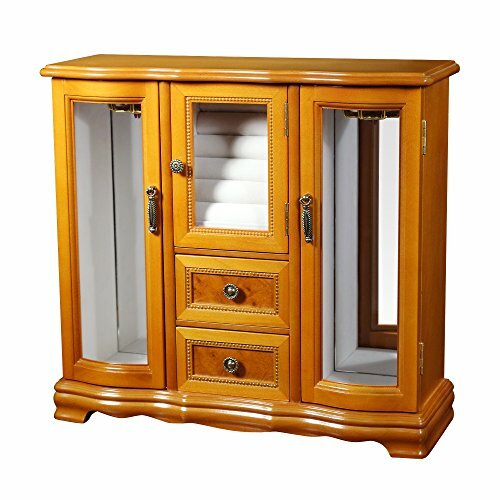 Its curved decorative etched glass panels, ring roll closet, and two drawers make this jewelry chest an elegant way to display your treasures. Oak finish wooden jewelry box. Upright. Scroll-footed platform base. Dual necklace carousels feature mirrored backs and curved etched glass doors. Ring roll closet with etched glass door. Two open drawers with beaded burlwood finish panel detailing. Antiqued brass tone drawer and door pulls. Hand lined in ivory sueded fabric. 13 1/4″ x 4 7/8″ x 12 1/2″. Made in China. 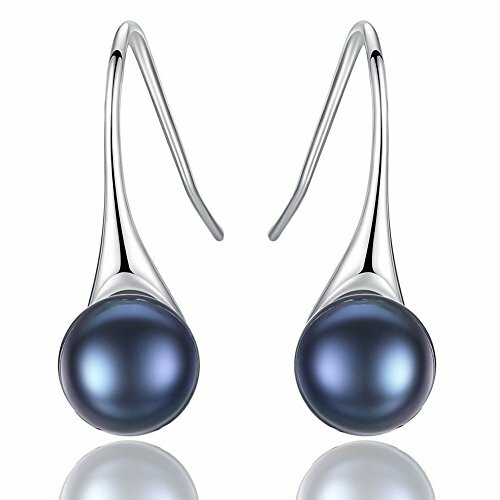 This entry was posted on November 30, 2018, in Jewelry. A silken java finish and soft sueded lining combine to create the sumptuous soul of the Mele Designs Kennedy jewelry box. 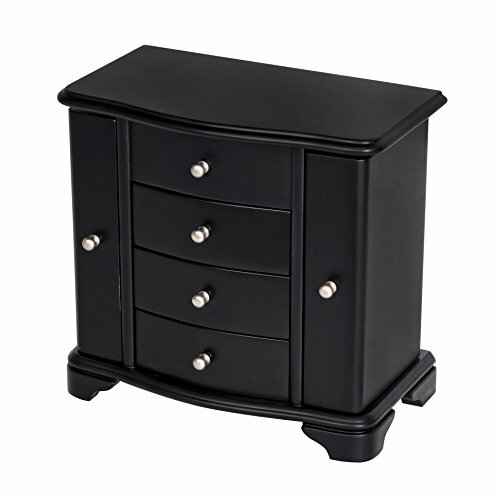 Dual necklace doors, interior mirror, and three open drawers add storage and sensibility to this jewelry chest’s tasteful tenor. Java finish wooden jewelry box. Upright. Scroll-footed platform base. Lift lid with interior mirror. Top compartment has two open sections and one set of ring rolls. Three open drawers. Dual necklace doors feature catch panels and house three hooks each. Brushed silver tone drawer pulls and hardware. Hand lined in ivory sueded fabric. 9 5/8″ x 5 1/2″ x 9 1/4″. Made in China. This entry was posted on November 30, 2018, in Sculptures. BAE ICONS infinity love horses bracelet is a perfect gift for any horse loving girl! 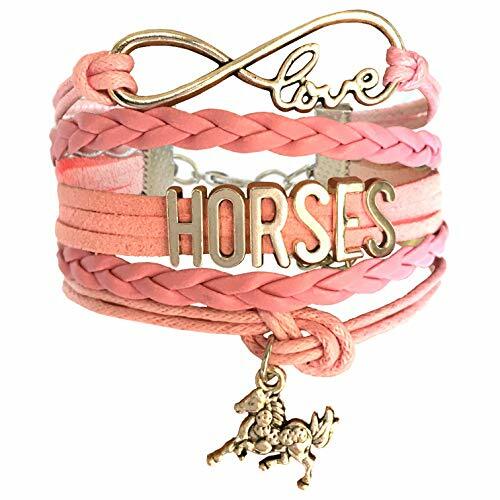 This equestrian bracelet is beautifully packaged in a gloss pink pillow-shaped gift box, this handmade plaited synthetic leather and velvet charm bracelet is the perfect gift for girls. Adjustable lobster clasp and chain at the back. 5.5inches long x 1 inch. Horse gifts for girls – perfect for teen girl and gifts for pony loving girls. Horse jewelry – a handmade horse bracelet – a personalized gifts for horse-crazy girls. Comes in brown horse bracelet, blue horse bracelet, white horse bracelet, black horse charm bracelet. BAE Icons is made for the fun and gorgeous horse loving girls of the world. Our brand has been created to ensure your self-expression through horses is displayed with our beautiful, vibrant jewellery! ★ Infinity charm bracelet, white bracelet, blue bracelet, black bracelet, brown bracelet. ★ Tween girl gift, gifts for girls, birthday gifts for girls, girl gifts, bff gifts, gifts for teens. ★ Gift-wrapped in gift boxes. ★ Best friend gifts for girls who love horses. &#x1F434 The PERFECT GIRLS GIFT, gift wrapped in glossy pink pillow container. Perfect stocking stuffer! &#x1F434 CHARM INFINITY BRACELET is multilayered. Picture is of one bracelet. Horse bracelet – horse jewelry for girls. Horse Stuff for Christmas! &#x1F434 GIFT BOX – comes in pink glossy pillow gift box. Perfect horse gifts for girls. BAE Icons – Before Anyone Else – for the horse crazy girl! &#x1F434 SATISFACTION GUARANTEE – 30-day full refund guarantee for any reason, 3-month warranty for quality-related issues. Buy with confidence! This entry was posted on November 30, 2018, in Glass. Inspired by nature, civilizations and all the beautiful things in life, CDE Jewelry is designed for the ladies who are dynamic, brave, confident, wise and unique! Every piece of CDE jewelry was made with exquisite craftsmanship. The detail speaks for itself. CDE purchased genuine Swarovski Crystals as raw material and skillfully applied on our own products. This jewelry belongs to CDE, NOT SWAROVSKI. ☞Store your CDE jewelry separately to avoid the scratch. ☞Keep away from chemicals, sweat, bath, crash to avoid any damage. ☞Rub your CDE Jewelry with baby wipes to bring back the shine. ♥ANGEL WING HEART DESIGN♥ Heart-shaped Swarovski Crystal wrapped in the Platinum Plated angel wing, glitters and sparkles. 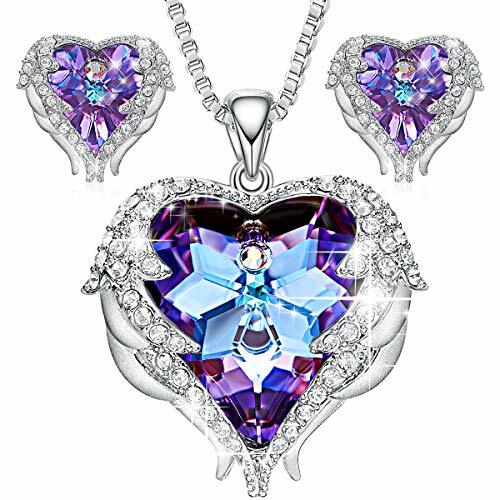 The dazzling necklace represents the symbol FOREVER LOVE and the faith of Guardian. ♥EXACTLY FIT♥ Necklace is SEPARATED with the chain so that you could make a change if you’d like to update the collocation and it is adjustable with a chain 16″+2″. No wory about the necklace would not fit. ♥DURABILITY♥ Pendant is made with swarovski crystals, Hard to wear off and the Chain is of high quality that is hard to break off. ♥GIFT PACKAGE♥ Comes in an jewelry gift box. This heart Necklace could be Birthday Gifts, Anniversary Gifts, Christmas Gifts, Graduation Gifts,Valentine’s Day Gifts, etc. ♥AFTER-SALE SERVICE♥ If there are any problems with the purchase, please feel free to contact us, we will help to fix the problem within 24 hours.